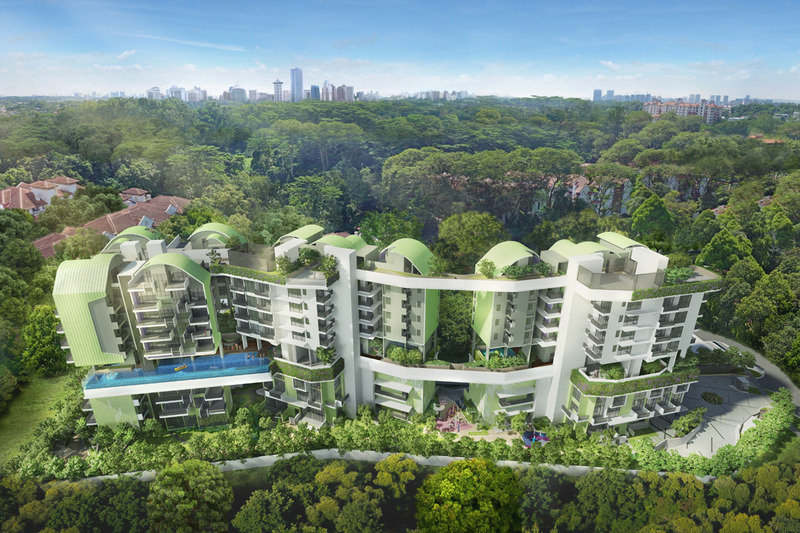 Pollen & Bleu, a verdant garden home that resonates with your inner peace and nurtures your love for nature, tucked away in tranquil Farrer Drive, near Botanic Gardens and Nanyang Primary School. Pollen & Bleu showcases 106 exquisite apartments ranging from 1-bedroom units to 5-bedroom penthouses. The development offers homeowners privacy and exclusively nestled amongst nature. Why invest in Pollen & Bleu? Nestled within the prestigious D10 enclave. Surrounded by rare lush greenery. 5-6mins scenic walk to Farrer Road MRT. 5mins walk to Empress wet Market with local food delights, grocery shopping and amenities. Within 1km to extremely popular Nanyang Primary School. Within 2km to Raffles Girls Primary, New Town Primary, Queenstown Primary. Near to Farrer MRT, Botanic Garden MRT and Holland Village MRT. Well-connected to major arterial roads such as Holland Road, Farrer Road and expressways such as AYE & PIE. Close proximity to the bustling Orchard Road, Holland Village, Dempsey Hill, CBD, Marina Bay, Science Parks, One North, Fusionpolis, Biopolis, Vivocity & Sentosa. Panoramic Views towards Botanical Garden, City Skyline and Bt Timah Hill. Developed by a reputable developer: Singland.